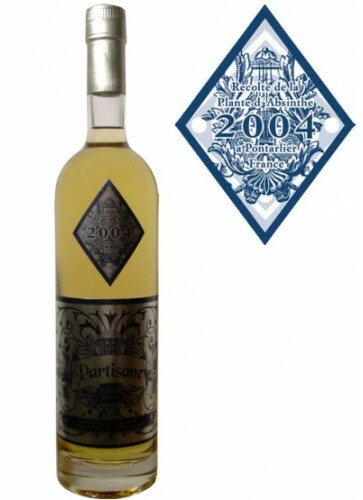 SOLD: Absinthe Partisane was made from the 2004 wormwood harvest from Pontarlier. This Absinthe won the silver medal on the Absinthe fair Absinthiades 2005. It was limited to 1000 bottles. Absinthe Partisane was made from the 2004 wormwood harvest from Pontarlier. The 2004 patch was distilled by the Francois Guy distillery in cooperation with ALANDIA and was limited to 1000 bottles. 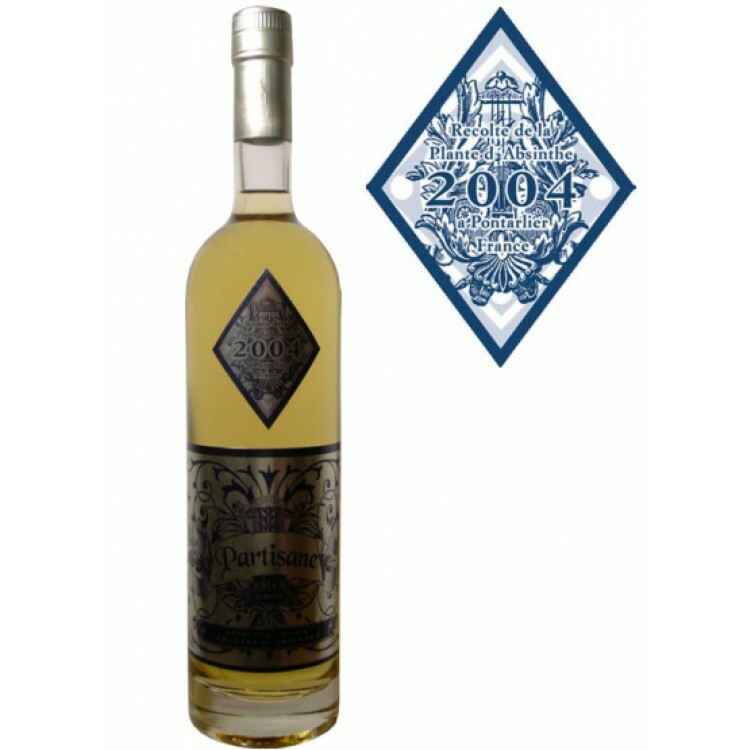 Therefore each bottle is unique and due to the natural limit of the 2004 harvest this Absinthe will not be available at any point later. The recipe is based on only a few herbs to set the focus on the Absinthe bouquet. You will experience a strong Absinthe with a note of caramel and anise. We recommend to serve Partisane with two sugar cubes and two parts cold water. Partisane won the silver medal on the Absinthe fair Absinthiades 2005 in Pontarlier, France.